On November 6, New York City voters approved a ballot proposal to impose term limits on community board members for the first time since their role was written into the city’s Charter in 1963. The proposal was introduced by Mayor de Blasio’s Charter Revision Commission and proved to be the most contentious of the three proposals listed on this year’s ballot. 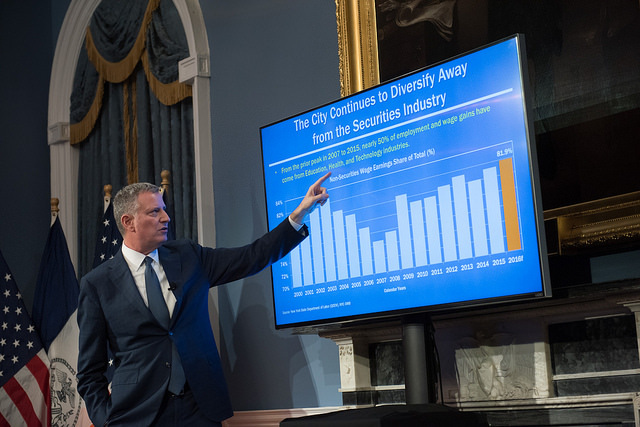 Several City Council members and one borough president, among others, argued that imposing term limits would help diversify boards that have historically failed to represent the demographics of the neighborhoods they represent. Dissenters argued that forcing the removal of long-term members would threaten the already tenuous authority of boards to oppose land use and licensing proposals that would negatively impact their communities. These folks claimed that limiting board terms would undermine the board’s institutional knowledge and would make it possible for real estate developers to take advantage of inexperienced board members. The debate, at least because of the opposition argument, pins diversity against authority - representative democracy against an ability to get things done; it subtlety though forcefully suggests that community boards - the city’s most local formal government body, of which there are 59 across the five boroughs - cannot have both. How has it become so intractable for boards to effectively and legitimately speak on behalf of their communities, while also reflecting the composition of their communities? At BetaNYC - a community-based organization dedicated to improving lives in New York through civic design, technology, and data - we believe that disparities in information and information infrastructure play a major role in propagating this problematic dichotomy. In local New York City governance, there is a significant power imbalance when it comes to who has access to information, who has the expertise and experience to manipulate it, and who has the authority to present it as evidence. When coming before community boards, real estate developers and business owners often gather and aggregate data to craft a narrative as to how their proposals will positively impact a community or to demonstrate how their proposals will not harm a community. Developers may suggest that a rezoning will result in a certain number of new jobs or new affordable housing units to sway a community board towards supporting their proposal. A restaurant owner may present data to argue that setting up a sidewalk café will have minimal impact on foot traffic and pedestrian safety. Since community boards can only put together advisory resolutions, it is important for them to be able to legitimate their arguments for or against the proposals with evidence. However, many community boards do not have the technical literacy or infrastructure to fact check the presented data or to offer counter-posing statistics. With the approval of the term limits ballot proposal, their ability to do so is further compromised. It takes time to learn the intricacies of zoning and licensing law, let alone to develop the skills to aggregate and present data in ways that can affect zoning and licensing decisions - all of which board members must accomplish on volunteered time. The fact that elected officials are concerned that diversifying board voices will undermine the board’s authority highlights a much deeper issue - that the balance of information access, expertise, and legitimacy in the city’s formal decision-making processes is far from equitable and just. Ironically, the information and expertise that community boards do bring to their positions - rich experiential knowledge of the history, people, and problems that characterize their communities - often gets written off as anecdotal evidence or angry voices as their advisory resolutions move through the city’s processes. This evidence is often considered to lack the authority of seemingly more objective (and less passionate) quantitative data. An unfortunate consequence of discourse around “data-driven decision-making” is that numbers and statistics have become a privileged form of evidence - with little reflection on the disparities in who controls these numbers and statistics, and what other forms of evidence are undermined in the process. This is why BetaNYC has placed community boards at the center of our vision to expand civic data literacy and advocate for civic data infrastructure in New York City. We believe that communities are empowered when their community boards are equipped with both the knowledge and the resources they need to challenge information practices that ignore or misrepresent people and problems in their neighborhoods. Since 2015, BetaNYC has been researching the technical and information infrastructure available to community board district offices and the data training offered to community board members and district office staff. We have documented the challenges boards face in leveraging the city’s open data resources to advance their resolutions, and have outlined several specific use cases in which community boards could leverage city or state data to back up their claims. Through this research, we have been able to expand our technical offerings, develop new open data curriculum, and foster new collaborations with the Mayor’s Office of Data Analytics (MODA) and the Department of Information Technology and Telecommunications (DOITT). We produced BoardStat (a 311 data dashboard), SLA Mapper (a tool to track noise complaints, underage drinking complaints, and restaurants healthgrades for bars seeking liquor license renewals), and Tenants Map (a tool that maps rent-stabilized units and housing-related 311 complaints to highlight potential tenant harassment). BetaNYC also offers public training on how to use the city’s open data portal, how to map open data with Carto, and how to integrate open data with Census data using spreadsheets. We work closely with borough president offices to ensure that community boards know about and have access to these trainings. Finally, in October, we testified before the City Council in favor of legislation, Intro. 1137-2018, which would not only codify MODA into the city Charter, but also require that they offer training on the use of the open data portal to community boards. We are thrilled to see this legislation passed. As new voices filter into community boards positions, it will be more important than ever to equip them with skills, resources, and tools to effectively advocate for their communities. If the new Civic Engagement Commission, the creation of which was also approved by voters through a ballot measure on Election Day, is going to provide technical assistance, it should focus on building up a new class of community board members who are digitally and data literate, savvy online/offline organizers, and great public facilitators. BetaNYC looks forward to working with boards, city agencies, and elected officials to ensure that these needs are met. City Council Member Ben Kallos is always looking for ways to make government more efficient and accessible through technology and the use of data. To that end, Kallos, himself a programmer, introduced a bill last week that would require information generated or received by city agencies to be available through an interface that allows easy use of the data and, ideally, a streamlined experience for New Yorkers interacting with their city government. This would occur through an Application Program Interface (API); essentially, Kallos explained, “a language dictionary so a piece of software can communicate with another software.” Such a system would facilitate the automatic availability of city data through mobile- or web-based applications, opening up opportunities for the private sector to create programs that interact with city government. A program that easily transmits permit and license applications, for example. If the proposal is passed, city agencies would have to implement APIs for their services and require contracted vendors to do the same. The bill would also mandate that the Department of Information Technology and Telecommunications (DoITT) create a central repository with information on how to utilize APIs and a list of applications that interact with city APIs. Applied across the city government, Kallos’ proposal would have broad implications for efficiency. It would streamline, for instance, applications for permits and licenses, much like tax preparation software helps people file their taxes easily. Kallos hopes that his bill will also encourage third-party developers to jump into the fray and help users navigate city government. Asked if this could raise potential privacy concerns, Kallos expressed confidence that protections currently in place in city law would prevent any misuse. Just as countless Americans use tax preparation software, he said, any applications would allow people to submit and request information securely. He also welcomed public input through the legislative process to address any of these concerns. “That’s why we go through the public process,” he said. 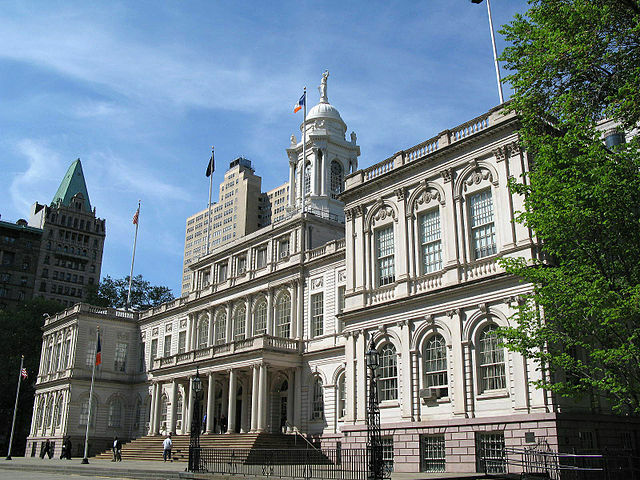 What’s more, Kallos, a first-term Democrat from Manhattan who chairs the Council’s government operations committee, expects that the bill will lead to cost and labor savings at city agencies by streamlining information flow and data entry, as well as generate income by promoting growth in the private sector. We're getting close to the state budget deadline of April 1. This week will be full of both private negotiations and public sessions in Albany, where lawmakers attempt to come to a budget deal while showing significantly divergent takes on key issues - as well as central mechanisms related to the budget and policy. Governor Andrew Cuomo has jammed quite a bit of policy into his budget, attaching initiatives to appropriations in an attempt to strong-arm the Legislature into agreeing to his policy demands. This is especially true around ethics and educaiton reforms, but Cuomo has also used creative tactics to push compromise, tying an education tax credit favored by Republicans to the DREAM Act, which is favored by Democrats, for example. The Legislature is in session Monday through Thursday again this week. Meanwhile, New York City officials await decisions in Albany (while also trying to affect those decisions, of course) and carry on their own budget work. The City Council will wrap up its month of preliminary budget hearings this week and then formulate a formal response to the mayor, who will then issue his Executive Budget in April, leading to another round of council hearings and a final budget deal by July 1. The City is eagerly awaiting word from Albany on things like funding for schools, homelessness prevention, public housing, and much more. De Blasio is in Boston on Sunday and Monday, participating in the U.S. Conference of Mayors Cities of Opportunity Task Force Summit; on Monday, "there will be a press conference on transportation issues at 12:30pm" at Faneuil Hall; he'll return to New York City on Monday evening. De Blasio was in Albany on Saturday for the Somos el Futuro Conference, where he reiterated his push for full education funding from the State and other top priorities, and received "the Champion for Latinos Award at the dinner gala." And the whole week builds to the annual Inner Circle Show this Friday (dress rehearsal) and Saturday, at which the press will roast the mayor, and vice versa. There's plenty happening this week. See our day-by-day rundown below for more. Monday morning, schools Chancellor Carmen Fariña will visit a "CTE program to make an announcement" at the Thomas A. Edison Career and Technical Education High School in Queens. Comptroller Scott Stringer's only public event scheduled for Monday is an 8:15 a.m. appearance on "Buen Día New York," WADO 1280 AM. Also Monday morning, the Downtown-Lower Manhattan Association will host a breakfast with United States Senator Charles Schumer at Securities Industry and Financial Markets Association’s headquarters. On Monday’s Brian Lehrer Show on WNYC, three of the five borough presidents will appear together: “Queens Borough President Melinda Katz, Bronx Borough President Ruben Diaz, Jr and Brooklyn Borough President Eric Adams talk about borough and city-wide issues facing Queens, Brooklyn and Bronx residents. Monday at 10 a.m. at City Hall, preceding the relevant City Council preliminary budget hearing, "hundreds of New York City seniors and service providers were invited to descend upon City Hall's Council Chambers and make their voices heard at the Department for the Aging budget hearing to advocate for $33 million in critical funding for senior services." At 11 a.m. on Monday at City Hall, Rep. Nydia Velázquez and other local leaders will release a report on how the Republican congressional budget would impact New York City: “From transportation, to housing, to health and human services, New York would be acutely affected by proposed cuts,” says a media advisory on the event. At noon at City Hall, there will be a "Rally for action by Earth Day on plastic bag reduction bill" hosted by Council Members Brad Lander and Margaret Chin, who sponsor the relevant bill, and Council Member and Sanitation Committee Chair Antonio Reynoso, as well as other elected officials: "The bill (Int. 209) will reduce disposable bag use by requiring retail and grocery stores to charge 10 cents per single-use plastic or paper bag. Supporters of the bill turned out in large numbers at a public hearing before the Council's Sanitation Committee last fall, and will rally again for its passage by Earth Day (April 22)." Monday’s City Council schedule consists of two preliminary budget hearings: a meeting of the Committee on Aging jointly with the Subcommittee on Senior Centers; and a meeting of the Committee on Health. CUNY Journalism School's brown bag lunch series continues on Monday with a conversation between Errol Louis and Tom Robbins, both journalists and CUNY J-school professors. "Tom Robbins, investigative journalist in residence at the CUNY Graduate School of Journalism, will discuss his recent piece on the brutal beatings of former Attica Prison inmate George Williams...Errol Louis, director of the Urban Reporting Program and host of NY1's Inside City Hall, will pick Robbins' brain on the work that went into the nine-month project, as well as the larger issues of prison violence that it illuminated." At 2 p.m. Monday, outside FDNY headquarters at MetroTech Center, Brooklyn BP Adams "will announce a borough-wide fire safety education campaign, following a fatal fire Saturday in Midwood that claimed the lives of seven siblings, aged five to 16, from the Sassoon family. His effort will include multilingual outreach and the distribution of free smoke detectors...Adams will call for the creation of a burn center in Brooklyn...Adams will be joined by local elected officials and Jewish leaders." Monday at noon, there will be meeting of the New York State Gaming Commission at the New York State Department of Labor. Monday afternoon in Albany, the Senate Standing Committee on Corporations, Authorities and Commissions will hold a hearing to consider several pieces of legislation. Monday evening, “The Middle Class Action Project will host a candidates forum with Republican District Attorney Daniel Donovan and Democratic Councilman Vincent Gentile to discuss economic issues facing the middle class,” according to the Staten Island Advance. Tuesday morning, the New York Bar Association will host Campaign Finance: The Current State of Affairs and Where We Go From Here: “Since the Supreme Court's 2010 decision in Citizens United, campaign finance law has moved at a rapid pace, leading the way for the creation of various entities that facilitate the injection of billions of dollars into elections. And Congress just increased the power of political party committees by significantly increasing applicable campaign finance limits. This program will consist of three panels composed of top-tier campaign finance law experts, regulators, reporters and political consultants.” Panelists will include Nicholas Confessore from The New York Times; Dave Levinthal from the Center for Public Integrity; Eric Friedman from NYC Campaign Finance Board; Bill Hyers from Hilltop Public Solutions; Fritz Schwarz, Jr. from the Brennan Center; Douglas Kellner from the NYS Board of Elections; and Jerry Goldfeder from Stroock & Stroock & Lavan. Tuesday’s City Council schedule will include a meeting of the Committee on Fire and Criminal Justice Services for a preliminary budget hearing; a meeting of the Committee on Zoning and Franchises to review proposed Land Use Applications; and a meeting of the Subcommittee on Planning, Dispositions and Concessions to review land use applications. Tuesday morning in Albany, the Senate Standing Committee on Environmental Conservation will hold a hearing to consider a variety of bills to amend the environmental conservation law; the Senate Standing Committee on Transportation will meet to consider several bills amending the highway law and the vehicle and traffic law; the Senate Standing Committee on Judiciary will meet to discuss the reappointments of several judges at the New York Court of Claims; and in the afternoon, the Senate Standing Committee on Codes will meet to discuss a series of act to amend the civil rights law and the penal law. Tuesday evening, City Council Member Andy King and his staff will be hosting one in a series of Constituent Services Nights in different NYCHA housing developments. The program will include resources and solutions for housing, food stamps, immigration, Access-A-Ride and more. Tuesday evening, Parsons DESIS Lab and Lower Manhattan HQ will host Public Space: New Ideas for Civic Life: “New York City has an abundance of public spaces rich in culture and design, from Central Park to the New York Public Library. However, despite these places’ role as the physical center of civic life, digital platforms have emerged as the preferred way for government to engage the public. How can we revitalize public spaces as places to enhance civic life and public participation in government?” Speakers will include Mary Rowe of Municipal Arts Society and Victoria Milne of the city's Department of Design and Construction. Also Tuesday evening, Columbia School of International and Public Affairs presents Public Policy Challenges: Women’s Empowerment in NYC: “Come learn from and engage with leading practitioners on New York law, policy, and services related to violence against women.” The panel will include Ana Oliveira, President and CEO of the New York Women's Foundation; Rose Pierre-Louis, Commissioner of the NYC Mayor's Office to Combat Domestic Violence; and Maria Torres-Springer, Commissioner of the NYC Department of Small Business Services. Wednesday’s City Council schedule will include two preliminary budget hearings: a meeting of the Committee on Education and a meeting of the Committee on Sanitation and Solid Waste Management. Wednesday morning in Albany, the Senate Standing Committee on Social Services will meet to discuss a variety of potential amendments to the social services law. Wednesday evening, the city's Panel on Educational Policy (PEP) will host a public meeting at Murry Bergtraum High School in Manhattan. Also Wednesday, at 6:30 p.m., the Digital NYC Five Borough Tour will hit Queens. Panelists will include Kristin Hodgson, Communications Director at Meetup, and Jukay Hsu, Founder of Coalition for Queens. Thursday morning at Fordham University Lincoln Center Campus, “All alumni are invited to join us for the inaugural interview session and breakfast for the new Oral Archive on Governance in New York City: The Bloomberg Years” featuring Howard Wolfson, former Deputy Mayor for Government Affairs and Communications. Thursday’s City Council schedule will include a meeting of the Committee on Public Housing for a preliminary budget hearing; a joint meeting of the Committee on Small Business and the Committee on Economic Development for a preliminary budget hearing; and a meeting of the Committee on Land Use to review all items reported out of the Subcommittee hearings. Thursday evening, “Join us at Civic Hall – the new beautiful co-working space for civic tech and VRL’s new NY home! – for an evening of workshops and an engaging panel of women leaders.” The event is hosted by VoteRunLead, Veracity Media, Civic Hall, Republican Majority for Choice, Women's Information Network NYC (WIN NYC), She Should Run, Emerge America, Rising Stars and Greater NYC for Change. Thursday evening, Council Speaker Mark-Viverito and members of the Council's Irish caucus - Council Members Danny Dromm, Corey Johnson, Liz Crowley, and Jimmy Van Bramer - along with other council members, will host the Council's Irish Heritage and Culture celebration at City Hall. Also Thursday evening, City Council Members Donovan Richards and Member Daneek Miller, and the Mayor’s Office for Immigrant Affairs will host an IDNYC Community Meeting in Queens. Thursday at 6 p.m., City and State will host Above and Beyond: Honoring Women of Public and Civic Mind: “Each year, City & State honors 25 women who exhibit exceptional leadership in their fields and have made important contributions to society." 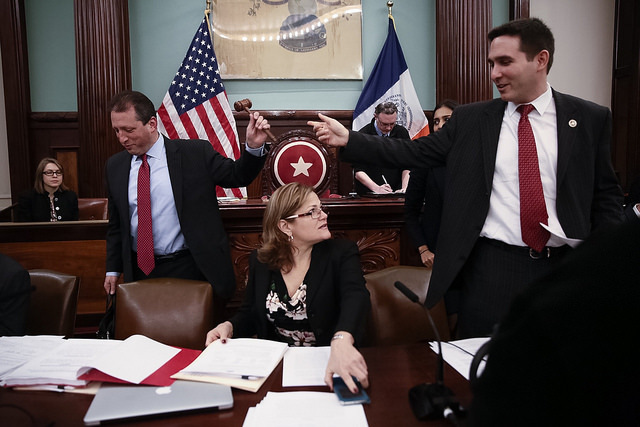 Friday at City Hall, the Committee on Contracts, the Committee on Courts and Legal Services, the Committee on Community Development and the Committee on Youth Services will all hold preliminary budget oversight hearings throughout the day. Friday afternoon, in celebration of Women’s History Month, City Council Member Elizabeth Crowley will host a special film screening of a documentary on Geraldine Ferraro’s life titled “Geraldine Ferraro: Paving the Way,” the film about the life of the first female Vice Presidential nominee of a major political party. Friday evening, the Inner Circle Show will hold its rehearsal; with the main event on Saturday night, both at the New York Hilton Hotel. On Saturday at noon, Zephyr Teachout and others are holding a rally: "Gov. Cuomo has turned his back on our students. Join us as we rally outside his Midtown Office to demand that he fully fund our public schools, support struggling schools, not raise the cap on charter schools, and limit high-stakes testing!"